Spread the Word – Invite Friends to Try Jack3d! Spread the word on your Facebook feed by clicking the SHARE and LIKE buttons below! 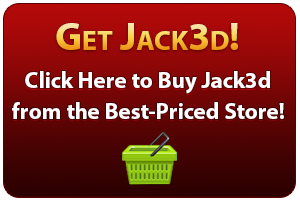 Share Jack3d with Friends on Facebook! Next, this form helps you import and invite contacts from Facebook, your Gmail, Yahoo, and other accounts securely. 5. Click “Send” when you are ready. Important Note: E-mails and passwords are never saved and we will never spam you or your friends. This is a one-time invite. Thanks for spreading the word about Jack3d! While you’re at it, post a link to http://www.jack3d.org on your Facebook wall!